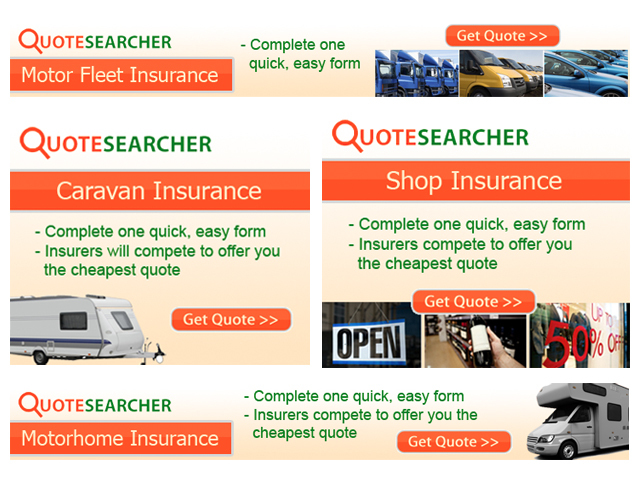 Brief: I was asked to design some Image Ads for some of QuoteSearcher’s many Insurance products. I started by coming up with one design for Motor Trade Insurance and then used that layout for the rest of the products to follow. Image Ads were required for QuoteSearcher’s PPC campaign, Remarketing campaign and also their Affiliate program. In total over 350 image ads were created for this project.